Previous image: Fail Dog Next image: Ouch! 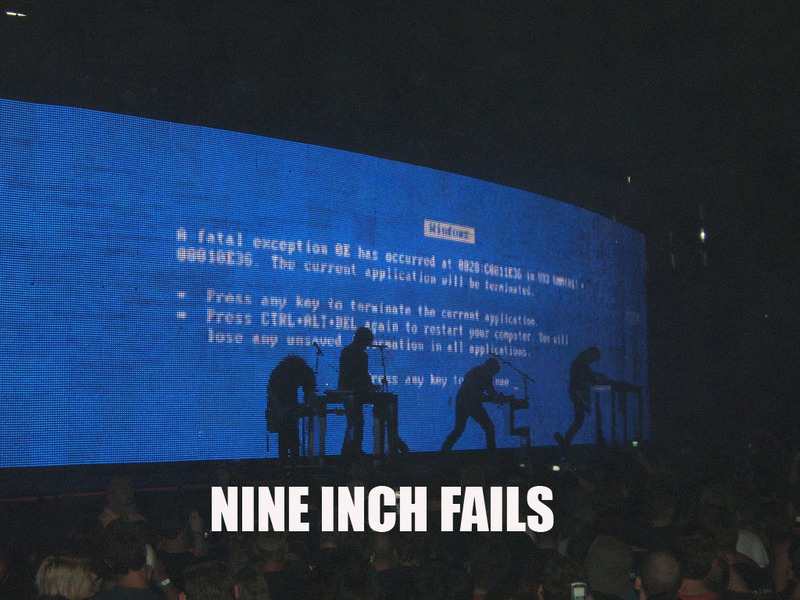 Description: Nine Inch Nails blue screen of death. For the record, it happens on purpose at their shows, it's NOT a real computer failure.